You have 2757 characters. Don’t forget to add important and relevant keywords in your description to improve your iTunes app page and optimize your SEO. Immerse yourself in a world of Texas Hold’em excitement, challenges and victories to prove that you're a true winner. 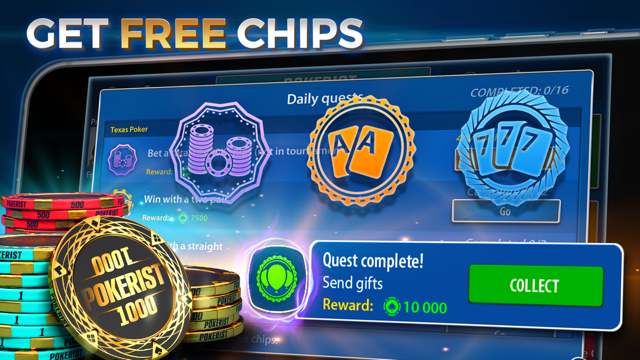 FREE CHIPS – Play the game every day to get free chips! PLAY WITH FRIENDS – Get free bonuses when you invite your friends to the game through email or Facebook. TOURNAMENTS – Master your poker skills! 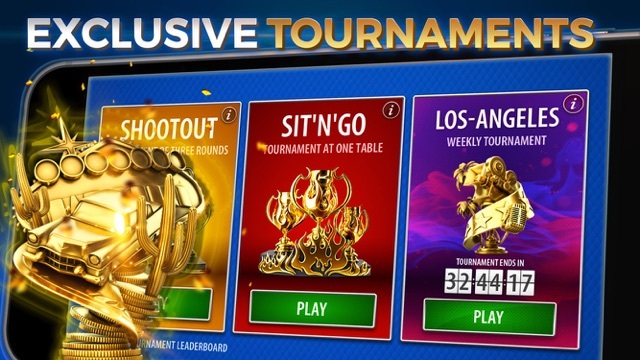 Participate in WEEKLY Sit'n'Go and Shootout tournaments where you can WIN unique Trophies and top our Leaderboard. GET REWARDS – Up the stakes, win hands, go all-in and unlock achievements. YOUR OWN PROFILE PAGE – Track your progress and status in the game! Get experience and lvl-up! See how many poker Tournaments you've won and Achievements you've completed. Get unique Properties and display them on your profile! View other players profiles to see how you compare! 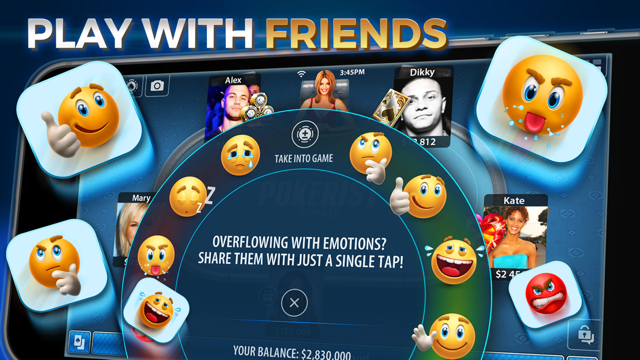 CHAT WITH OTHER PLAYERS – Have even more fun at the casino tables with our easy to use in-game instant messenger and chat with other Texas Hold’em players! FAIR HAND DEALING GUARANTEED – Our Certified Random Number Generator (RNG) brings you the best and fairest Texas Hold’em experience. LEARN TO PLAY – Are you new to Texas Hold’em Poker, Blackjack or Roulette but always wanted to try it? Our simple to follow tutorial mode will help you take the first steps. Learn everything you need to know about poker, winning combinations and the rules of the game quickly. SMOOTH INTERFACE – A simple and attractive interface which gives you the ability to call, fold or raise with just one tap. NO REGISTRATION – Get straight into the action. Use guest mode to play poker without registration. SINGLE ACCOUNT – Start playing free Texas Hold’em Poker on your smartphone then continue playing on tablet without losing your progress. Use your single account to play any of our other casino games in one app! BLACKJACK – A simple game of “21”. 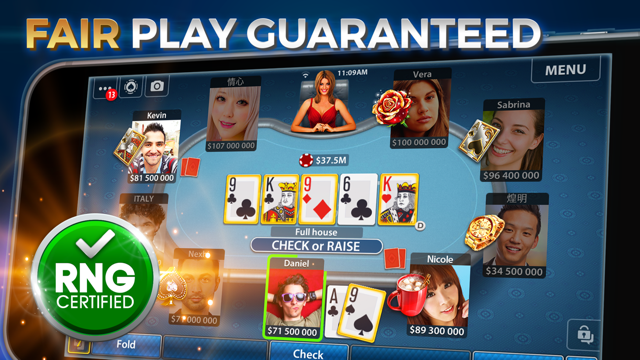 An exciting 3D game that any blackjack fan is sure to enjoy. ROULETTE – Featuring stunning 3D graphics and three varieties of table: French, American, and European. OMAHA POKER - A more dynamic version of poker with 5 cards in hand. Have more fun with amazing combinations!